The ski resort has advanced snow making equipment and starts turning the big guns on as soon as temperatures allow. While some of us are still lingering over memories of fall colors in the mountains, the mountain crew is busy turning everything white and building a base. Ober Gatlinburg usually kicks off its special events each year with a Rail Jam for advanced skiers to try out their moves on rails and pipes set in an area close to base lodge. This is a great spectator sport with a hot drink. 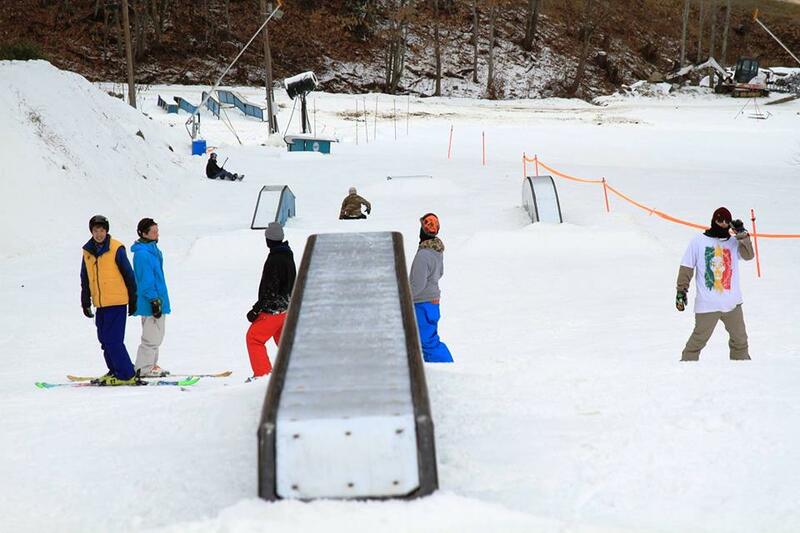 As the snow builds, crews groom the ski area’s own Freestyle Terrain Park, specially made for the advanced skiers and snowboarders to practice and compete with jumps and turns, and rides along rails, boxes and pipes. 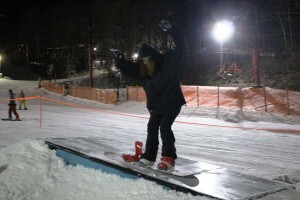 Nighttime skiing under the lights is popular at Ober Gatlinburg, with several Free-Flow Fridays when the day crowds have gone. These are good times to practice skills, and the resort frequently offers free lessons and introductory deals to help skiers progress. Sunday afternoon sessions are another popular time for a special event. Ober Gatlinburg usually offers several Ladies Nights in the season with a female instructor, a good time for women to practice, away from the male critique! 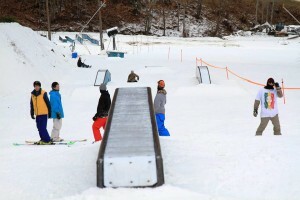 Through the season, the resort offers contests and practice events for several different skill levels, and crews and instructors prepare the park accordingly. Ober Gatlinburg holds a major contest about once a month, with competitors arriving from neighboring states to participate. Prizes can include a full season pass for the next year. As the season progresses and spring draws closer, expect the annual Spring Fling celebration, a fun time with vendors and concessions on hand, lots of jumps, and pond skimming, where not everyone makes it all the way across!